This guest post by meow truly was featured on My Reading Journeys as part of Debbie’s blog tour on Great Escapes Virtual Book Tours. Meow there. It’s my pleasure to chat on My Reading Journeys blog about Debbie’s new release, Love on the Rocks. I have to admit, I wasn’t too happy when Debbie decided to introduce a new kitty into Cobble Cove. This three-colored kitten came to live at the Cobble Inn with Alicia’s best friend, Gilly, who recently married Sheriff Ramsay. The happy couple eloped and celebrated their marriage in Hawaii where they found a kitten on the beach, and Gilly decided to bring it home. Don’t ask me how she got around airport regulations and quarantines and stuff. For those who’ve read the other books in our series, you’ll know that Gilly has a certain way with people, especially men if you know what I mean. Don’t get me wrong. These are cozy mysteries, after all, but Gilly is a shameless tease in a harmless way. What’s less harmless is how she convinces Alicia to investigate crimes with her. I know John, Alicia’s husband, wasn’t too pleased when they started to search for the killer of the man originally suspected of lacing Valentine candy with poison at the Cobble Cove library where Alicia works as a librarian and Gilly as a clerk. My main topic is the orange, white, and black kitten named KittyKai. When I was first introduced to her, I was a gentleman albeit a bit scared. Here’s the scene. Judge for yourself if my reaction was proper. “Oh, my gosh, Gilly!” Alicia said, almost choking on her cookie. “I don’t believe it. You brought a cat back from Hawaii. How did you manage that?” She was thinking about the quarantines and airline procedures. “I have my ways,” she said rolling her eyes provocatively. “The check-in clerks and the captain found me quite alluring. Ron was jealous, but I got us a kitty. I found her on the beach, poor thing. I think she’ll make a great inn cat.” She brought the kitten over to the table. The twins went wild. “Kitty, Kitty,” they both called, reaching out. She handed the cat to Alicia who let Carol and Johnny pet her. “It’s a little girl,” Alicia said, examining the backside of the kitten. “Speaking of Sneaky,” Gilly said, “Look!” She pointed at the carrier where a beige head was peeking out. Slowly, the Siamese ambled out. Gilly picked up KittyKai and placed her on the ground. “Gilly, I don’t think…” Alicia was alarmed that Sneaky might harm the kitten. Instead, he sniffed her. KittyKai, however, drew her small body back, black, orange, and white fur standing on end, her tail erect—the signs of confrontation. She hissed in Sneaky’s face. Luckily, we resolved our differences as most cats do. One thing in KittyKai’s favor is that she’s a lady. Not that I would have any romantic interest in her. Not only is she a minor, but I’ve been neutered which is the operation we cats get at the vets so we don’t have babies. I don’t mind. I like to be unencumbered. The one thing that still nags at me, though, is that KittyKai got her photo on our book cover. I know I shouldn’t complain because my photo was on the last book, Written in Stone. However, it still irks me because I’m the top cat in this series, and I intend to remain that way. For a case of fiction imitates life or vice versa, Debbie recently adopted two kittens and is in the process of introducing them to her 10-year old cat, Stripey. For those of you facing a new cat or kitten in your home, here are some links that may make the introductions between the newcomer and your resident cat less stressful. Since I accidentally posted my Feature Friday yesterday, I thought it would be mice to feature this guest post by a fellow cat blogger today. 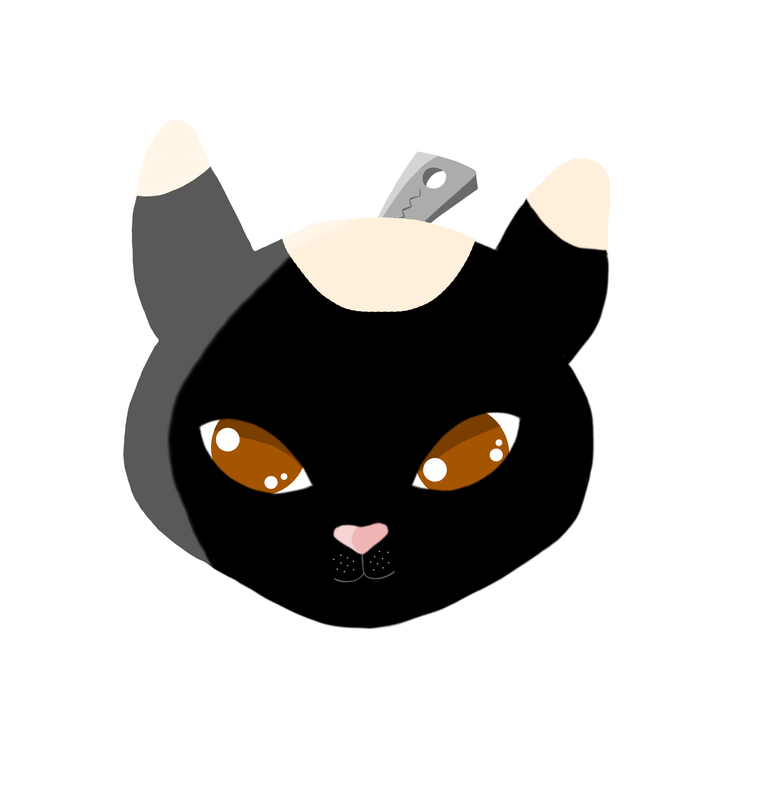 Please welcome Mudpie from Mochas, Mysteries, and Meows. Hi, everyone! 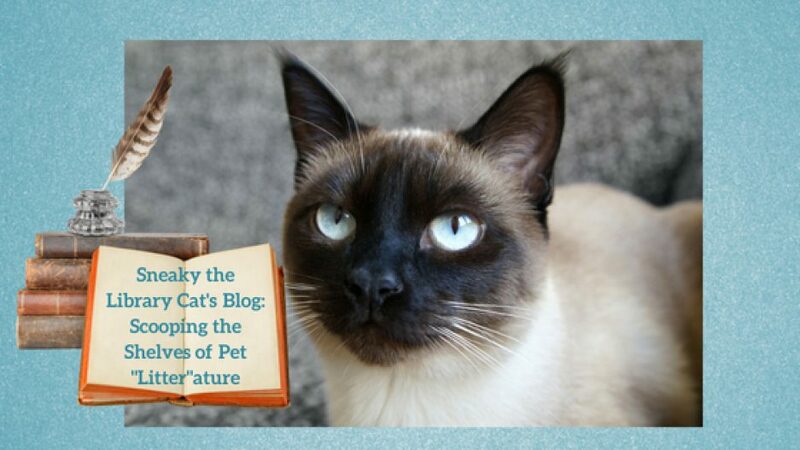 From one blogging cat to another, I’d like to start by thanking Sneaky for inviting me to guest blog today! For those of you who don’t know me, my name is Mudpie and I’m the feline half of the blogging team at Mochas, Mysteries and Meows (www.mochasmysteriesmeows.com). I’m an adorably feisty four-year-old tortoiseshell cat who moved into my forever home two years ago this month. Boy oh, boy did I ever log some miles in getting to Mommy Melissa! I started out in western New York (almost on the Pennsylvania border) when somehow I ended up in the slammer. When I didn’t get adopted right away I was transferred to a shelter in central Vermont (long car ride alert! ), then Mommy saw me on PetFinder, adopted me, and I was on the road again for yet another hour drive back to northwestern Vermont! It sure was good to meet my final destination with the knowledge that I now have a family that will love me forever and ever. I inherited our blog from my predecessor Truffles who was called to the Rainbow Bridge long before her time due to a blood clot in her heart. Needless to say, my Mommy was positively shattered and I made it my mission to make her smile again. It’s my humble opinion that I’ve done a pretty good job, but I know Mommy still thinks about Truffles every day and when she’s extra sad I work a little Mudpie magic to help her feel better. Are you a regular visitor to our blog? If you’re passionate about cats and books I think you’d be very happy there. We talk about cat health and nutrition, promote rescue and adoption, review products for both cats and cat ladies, run stories on cat culture and fun feline facts, review mainly cat books (although every now and then I allow Mommy to sneak in a book that doesn’t star a cat…GASP! ), and my favorite, our “Mudpie Interviews” series. It started with my interviewing the fictional felines in the cozy mysteries we love to read, but it has expanded to interviews with real life cats who have extraordinary stories to tell. I’ve chatted with a group of special needs kitties who call themselves the “Cats of Hazzard”, a cutie pie named after our President, Pawnald Trump, whose goal is to make Catmerica great again, and a lovely mama tortie named Mimosa who is still waiting for her forever home after seeing her litter of five little nuggets get adopted. I’ve even interviewed you, Sneaky! I can’t imagine how I ever could’ve lucked into a better life. Not only does my pawsome family think I hung the moon, I have a platform through my blog that enables me to use my voice to hopefully make a difference in the lives of other cats. I don’t think you can ask for much more than that, do you?